Between this, More Blood on the Tracks, and The Beggars 50th - it's gonna be an expensive November! And between all of these and all the boots I have, my cup runneth over! I'm disappointed about no mono mixes included. Besides that I like what I read. 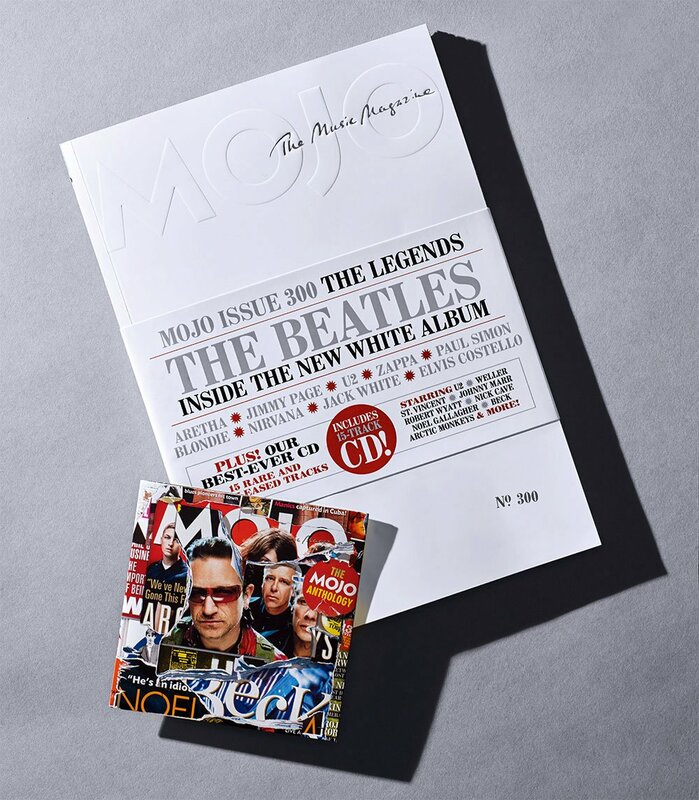 The White album was included in the mono box set, as well as the stereo box set! Never bought the stereo box set, but did buy Let it Be and Abbey Road stereo remaster individually as those were the only two that were originally recorded in stereo. "The White Album is literally a toss up when it comes to mono vs stereo. This is the album that every fan should own both versions of – because literally, some songs sound better on mono, some sound better on stereo". I bought the mono box some years ago and to me it was like listening to this album for the first time. The same goes for Revolver and Sgt. Pepper's. Yes Cristiano, I bought it when it was first released and it's still a holy grail in my collection. Bought a second set when there was a massive sale on popmarket.com for as little as $100. I also bought the Past Masters (vol. I &II) stereo remaster which was also included as mono in the mono box set. New Lennon and Harrison video. New & exclusive 2018 Raw Studio Mix video with never-before-seen footage. The IMAGINE Raw Studio Mixes place you in the centre of Ascot Sound Studios with John Lennon and The Plastic Ono Band all around you. No reverb or echo, no effects, no strings, just live, unvarnished and raw. Available in stereo and exclusively in 5.1 Surround Sound in The Ultimate Collection Box Set. Imagine you are at the Lennon’s home, Tittenhurst Park in Ascot, England. It's night. It's the last week in May in 1971 and you are their special guest, sat in a chair in the very center of the their recording studio, Ascot Sound Studios. John Lennon is sat in front of you, teaching the musicians one of his latest compositions. He is talking and singing and playing the same wood-finish Epiphone Casino electric guitar he played on 'Revolution'. A bearded George Harrison is in front of you, to the right, playing electric slide on John's pale blue Fender Strat. Just behind you and to your right, Rod Lynton with Ted Turner from Wishbone Ash are strumming chords on twelve string acoustic guitars, and directly behind you to the right, John and George's old friend Klaus Voormann is playing his deep hand-painted Fender Precision bass. Behind you to the left, Alan White (who would later join Yes) is playing his Ludwig silver sparkle drumkit, and in front of you to the left, John Tout from Renaissance is playing chords on the Steinway upright piano, and to his right, Nicky Hopkins is improvising on the red-top Wurlitzer Electric Piano, literally days before he leaves for Nellcôte to play on Exile on Main Street with The Rolling Stones. You are listening to the band playing 'How Do You Sleep' and all the hairs are standing up on your arms. John: Somebody said the other day ‘It’s about me’. You know, there’s two things I regret. One is that there was so much talk about Paul on it, they missed the song. It was a good track. And I should’ve kept me mouth shut – not on the song, it could’ve been about anybody, you know? And when you look at them back, Dylan said it about his stuff, you know, most of it’s about him. The only thing that matters is how he and I feel about those things and not what the writer or the commentator thinks about it, you know? Him and me are OK. So I don’t care what they say about that, you know? I’ve always been a little, you know, loose. And I hope it’ll change because I’m fed up of waking up in the papers. But if it doesn’t, my friends are my friends whatever way. Edited 1 time(s). Last edit at 2018-09-21 18:17 by spikenyc. "When it gets to the D bit, let's try to change the rhythm slightly. CDs 4, 5 & 6: Sessions - 50 additional recordings, mostly unpublished, from the studio sessions of the 'White Album'; all remixed from the four-track and eight-track session bands, sorted by their recording start dates. Includes hitherto unknown white album recording of the song "Let It Be"! Good to see they didn't overlook the mono mix. Looking forward to the box set. The picture of it is great. Found the troll, and in The Beatles thread no doubt. May 1971. I'm thinking this [www.youtube.com] is probably the last time John and George played together .... except for that "I'm the Greatest" track on the 1973 Ringo album. Edited 3 time(s). Last edit at 2018-09-23 02:54 by tatters. Amazing. That video was very insightful detailing the daunting task at hand...utilizing some of the same original equipment at Abbey Road, etc., etc. They should make a documentary "the making of White album Deluxe" - breaking down individual tracks, etc. Thanks for posting Cristiano...SO much to look forward to!!!! I guess this video won't last too long on YT. Like looking through a newly discovered sketchbook from Michelangelo of his work on the Sistine Chapel. Might not be my favorite painting in the chapel, but to see the original sketch brings a new appreciation. "Three different "Back In The U.S.S.R." mixes from the new release are available to listen to right now - the new 2018 Mix, the unreleased Take 5 Mix, and the Esher Demo"
"MOJO 300 has been sighted! Look out for it in UK shops this week." Boy, I was looking at the upcoming release on Amazon. As a big fan of the White Album, this re-release with all the bonus material is mighty impressive! Edited 1 time(s). Last edit at 2018-09-30 00:36 by Sighunt. Impressive...I have not doubt that the Beggars Banquet superdeluxe set will be equally as exhaustive. Just look at last year's TSMR. We got mono AND stereo! Play JJF from Randwick 73 LOUD ……. you could jump-start a dead horse from those Keef riffs …. Or perhaps boarish. Damn autocorrect.. amiright? Back in 1971, Jim Keltner closed his eyes as he laid down the drums to John Lennon’s bittersweet ballad “Jealous Guy.” He knew he shouldn’t do it blind -- the song was just so mesmerizing. 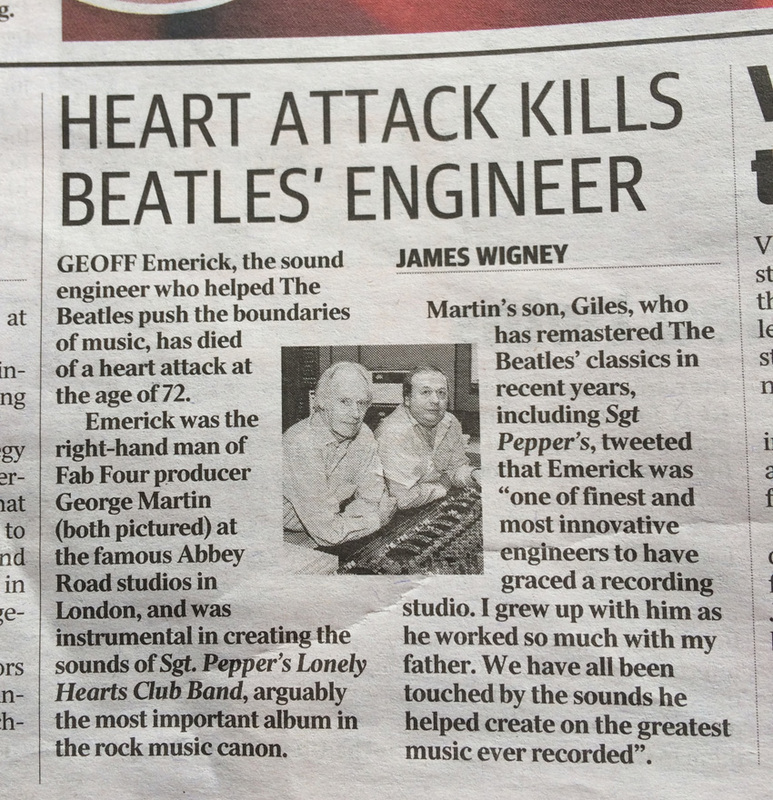 He almost forgot that he was collaborating with a former Beatle. On Friday (Oct. 5), the music that enchanted a young Keltner nearly 50 years ago receives its most lavish reissue yet with Imagine: The Ultimate Collection (Geffen/UMe). Beatles fans may know these songs by heart, but over the course of six discs, this box set dives deep into Lennon’s first Billboard 200 No. 1 solo album and brings listeners right into the studio. Throughout it all, however, one element stands the test of time and studio trickery: Lennon’s voice. Lennon’s first solo album, John Lennon/Plastic Ono Band, was tortured, didactic and consumed with grief. With its follow-up, Imagine, he was ready to deliver similar messages in a more accessible package. The result was Lennon’s most commercially successful album, hung on its startling title track, which became a modern standard by earnestly depicting a world without hierarchy or dogma. And its satellite songs were nearly as good: the elegant ballad “How?”, the apologetic “Jealous Guy,” and the bile-filled indictment of manipulative political figures “Gimme Some Truth." Engineers Paul Hicks and Rob Stevens took a unique, double-faced perspective to The Ultimate Collection. Hicks, a long-time Beatle comrade who worked on projects like Cirque du Soleil's Love show, the remix album Let It Be… Naked and the Beatles’ 2009 remaster campaign, handled Disc 1’s Ultimate Mixes. He simply shone the original 1971 mix to a 2018 clarity without making it overly slick or modernized. While Hicks’ presentation of Imagine is simmering and subtle, recommended for acolytes of the original mix, it’s by design that Stevens would go deepest into what actually happened in the room. Lennon’s living bandmates on Imagine -- Keltner, Voormann and drummer Alan White -- all hear John’s sweet-and-sour voice, accompanied by guitar or piano, as all you need from the man. Despite being apprehensive about his voice, Lennon was, by all accounts, more relaxed than ever at Ascot. Alan White, who drums on most of Imagine, recalls a “homey” atmosphere where all involved shared meals around a big wooden table. 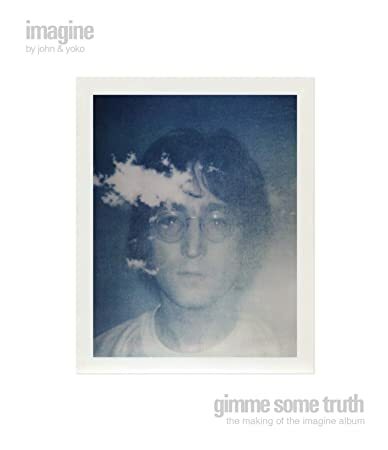 The Ultimate Collection is not the first re-release of Imagine, but it is by far the most extensive, spanning four CDs and two Blu-Ray discs in a visually arresting, Ono-curated package. Edited 1 time(s). Last edit at 2018-10-05 03:49 by hopkins. Interesting to compare the productivity of John Lennon and The Stones around the same time. Lennon completed his album in a very short space of time at his home studio. By contrast Th Stones still had a lot of work to do on their (admittedly double album) by the time they left their home studio in The South of France later that year.